Creating competitive edge with an out-sourced risk management solution, branded to your business, supported by a client engagement resource. Using the page links below you will find examples of the solutions we provide together with feedback from the end clients. BCARM can be delivered as a white-labeled solution to brokers and other intermediaries or organisations complete with full client engagement and sales process. 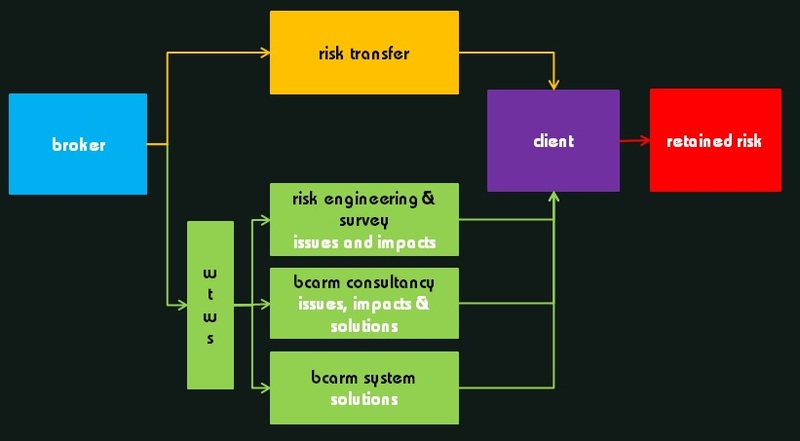 Our wider range of Consultancy and Risk Services allows us to target the Issues, Impacts and Solutions. To discuss a solution, contact us.